Kenny's Tile offers superior home remodeling services in Olathe, KS. Olathe homeowners know the importance of remodeling their homes to increase their value. When homeowners want modern tile, hardwood flooring, granite, and carpet selections for their kitchens, bathrooms, hallways, and more, they know to visit Kenny's Tile for all Olathe home remodeling projects. Our showroom features the latest trends for flooring and tiling. Whether our customers want stone, ceramic, granite or other durable materials, Kenny's Tile meets their home decorating needs. We also offer hardwood floor refinishing for your home. We use a dustless refinishing process that eliminates the messy sanding process. Kenny's can also help you choose the color of stain for your home that fits your decorating style. We provide a free estimate in your Olathe home for hardwood floor refinishing, so give us a call today! Of course, some people like to cover their staircases and other floors with carpet. 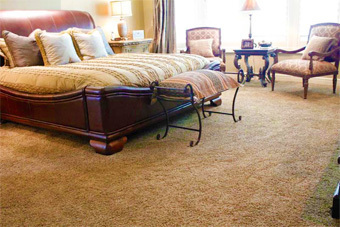 Carpet adds warmth and beauty to living rooms, bathrooms, bedrooms, and more. Modern carpet choices also are durable and stylish. When homeowners prefer this choice, we invite them to our showroom at Kenny's Tile. We can show them the best carpeting selections in the state. We can even match our carpet selections to customers' choices of tile and hardwood flooring. When it comes time to install your carpet, the installers from Kenny's are all company employees, which means we do not sub contract carpet installers. Floors are not the only parts of a home that we can improve with our inventory. Indeed, clients who want to upgrade their kitchens and bathrooms often redo their countertops and areas around their bathtubs. Popular kitchen countertop materials include stone, ceramic, and granite. When homeowners' outdated kitchens are beyond repair, Kenny's Tile can install new countertops for them. Their new kitchen surfaces improve the look of that room in the home and add value to your Olathe residence. Upgrading a kitchen or bathroom helps homeowners improve their homes and add value. Our selections of bathroom and kitchen tile match any decoration scheme. We offer ceramic, procelain, and travertine tile that can be used for flooring or backsplashes. We have a design team in our showroom who can show you the different styles and colors of tile for your project. They can help the do-it-your-selfer or handle the project for you from design to installation. Our materials are durable and last for years for home remodeling projects. Olathe residents who want the most modern and affordable flooring and tile selection in Kansas are invited to the showroom at Kenny's Tile.